Mavrx Inc. this week is opening up the firm's proprietary satellite-powered agricultural management platform to all members of the farm economy, empowering all agriculture stakeholders to bring cutting-edge technology to their fields at no cost. 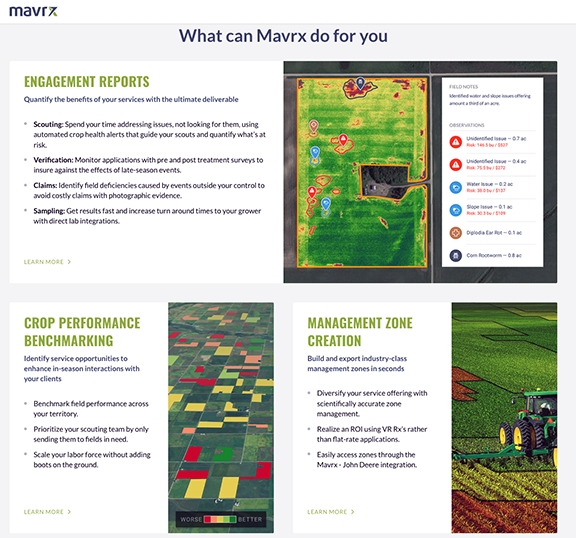 For more than four years, Mavrx has built a platform that enables farm managers to optimize operations through a bird’s eye look at yield, planting, and equipment application data that incorporates in-season and historical satellite information. Mavrx is now the largest aerial imagery and analytics provider in agriculture, monitoring over 14 million acres. The company provides yield enhancing services to 30 different major crops — including corn, soybeans, wheat, cotton, sugarcane, and potatoes — in farmland across the U.S., Canada, Brazil, South Africa, Russia, Australia, New Zealand, and Argentina. Those seeking more granular field information will still be able to purchase premium aerial imaging services through Mavrx, leveraging the world’s largest manned aircraft imagery network. Mavrx CEO Max Bruner said that this is a momentous step forward in the firm's journey toward creating a more secure and flexible agricultural economy. By removing barriers to entry, Mavrx can expand platform access to those who can benefit, while rapidly increasing the company's technological capabilities and coverage. 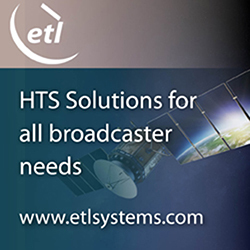 Ultimately, the firm will be able to offer affordable yield-enhancing services to every acre of agriculture in the world.